We are very proud to announce that MOCA Platform has won the prize for the Best Mobile Cloud Service category in the GSMA Global Mobile Awards 2016, the most prestigious awards in the mobile industry, worldwide. The competition was greater than ever, with more than 930 participants and 285 nominees. 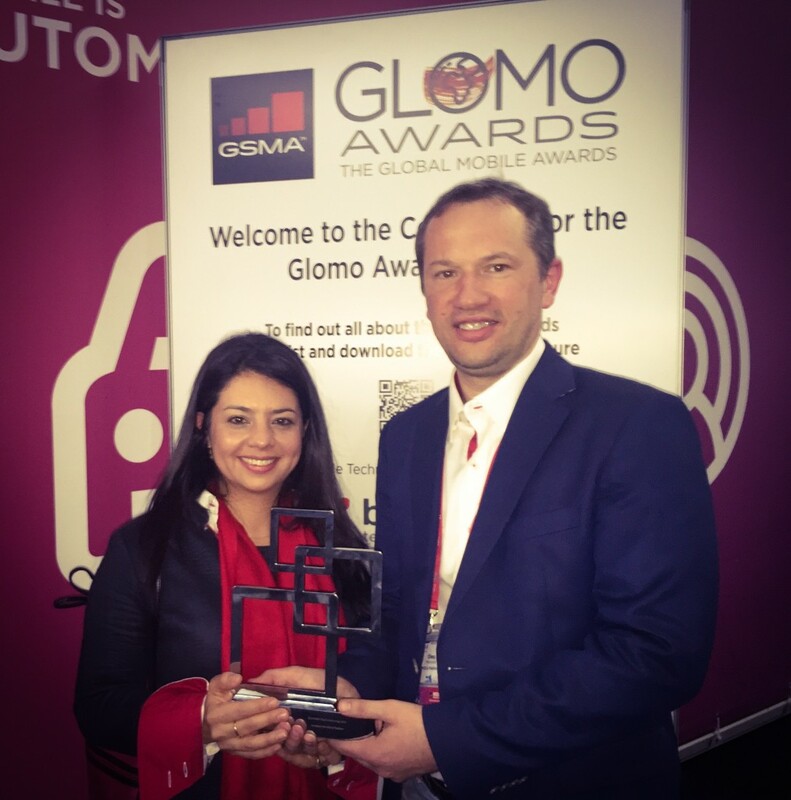 MOCA has been recognized in the GLOMO Awards for its successful use case in the tradeshow industry. MOCA provided proximity marketing services during Mobile World Congress 2015. The solution was used to deliver personalized proximity campaigns using geo-location, Bluetooth beacons and big data analytics in order to enhance attendee experience and gather insights on attendees behavior to improve future events. Download the full report here. The Glomo Awards are judged by independent experts, analysts, journalists, academics and, in some cases, mobile operator representatives. The winners were announced during the ceremony that took place on Tuesday, 23 February in Hall 4, Auditorium 2, and included presentations for awards in the “Best Mobile Technology”, “Best Mobile Services” and “Social and Economic Development” categories. Full information on the 2016 Glomo Awards can be found at www.globalmobileawards.com. “At MOCA, we are honored to receive such a prestigious prize. It is a recognition for innovation, technological excellence, hard work, and perseverance. 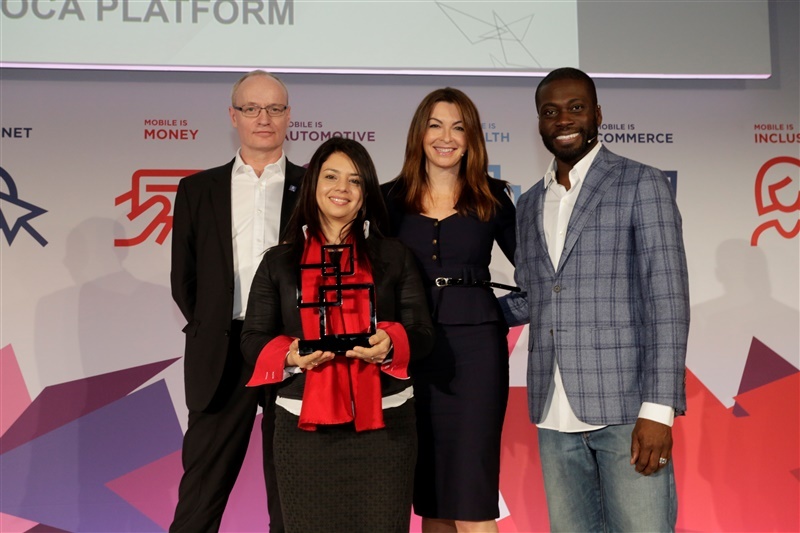 We have always been focused on building next-generation tools, and we are delighted to receive this award as the recognition from the industry. I would like to dedicate this prize to Barcelona, our home, the place and people that made it possible”, said Oleg Morajko, CTO and co-founder of MOCA. “ MOCA is completely dedicated to innovation and quality and we’re very proud to receive this prize. It’s a recognition of innovation across the mobile world and reflects a hard work of my team which is very committed with our project. We built our platform using cutting-edge technology to provide our clients and partners with the best possible software. Thanks GSMA, Thanks Fira Barcelona, Thanks MOCA Team! ”, said Maria Fernanda Gonzalez, CEO and co-founder of MOCA. Follow @MOCAPlatform and stay tuned for upcoming events and latest news.